Another weekend finishing up projects. 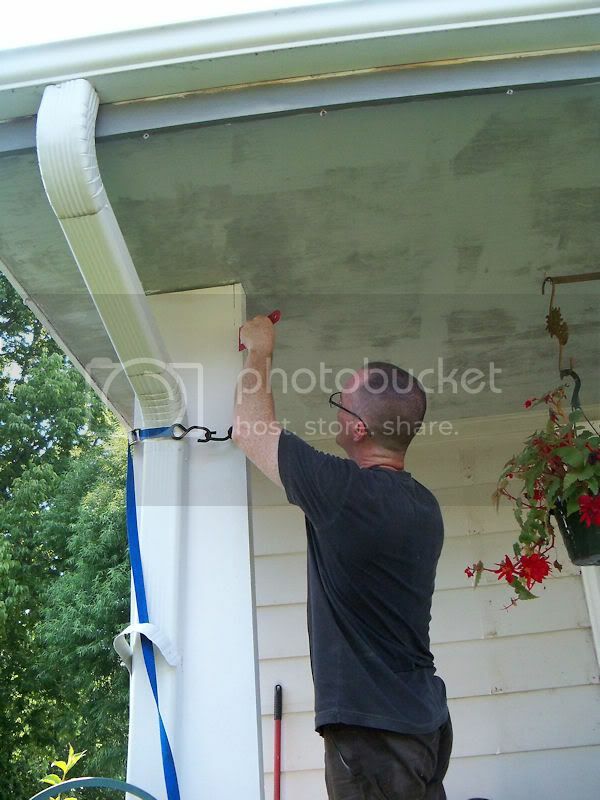 Hubby got the garage finished taping and it's done, the storage pod is empty & ready to be picked up tomorrow, and he's doing some finish work on the porch posts to fill any cracks that show at the joints. Looking good! While he was working on that, I transplanted sedum to the retaining wall area and cleared out the areas in front of all the windows getting replaced tomorrow. I think we're ready!